Jacob Trouba and the Winnipeg Jets have been down this road before when negotiating a contract. Two years after holding out as a 22-year-old, Trouba now reportedly finds himself far apart with the team again after arbitration numbers were exchanged. According to Elliotte Friedman, Trouba seeks a $7 million contract in arbitration while the Jets counter at $4 million. The case is due before an independent arbitrator on Friday. Trouba, a restricted free agent, had a $3 million salary cap hit after signing a two-year deal in November of 2016, following a holdout that got ugly at times. The talented right-hand shot defenseman has been the subject of many trade rumors in the past several years, though he spoke this past season about signing a long-term contract with the Jets. Despite appearing in only 60 games in 2016-17 following his holdout, Trouba recorded 33 points, a career-high. That season he also averaged nearly 25 minutes of ice-time on the Winnipeg blueline and seemed on the verge of NHL stardom. Trouba’s numbers dipped in 2017-18 as he missed significant time due to a pair of injuries. The 24-year-old first missed 20 games with an ankle injury and then suffered a concussion in his return to the lineup following a collision with Jamie Benn of the Dallas Stars. He averaged 21:54 of ice-time and recorded 24 points in 55 games. 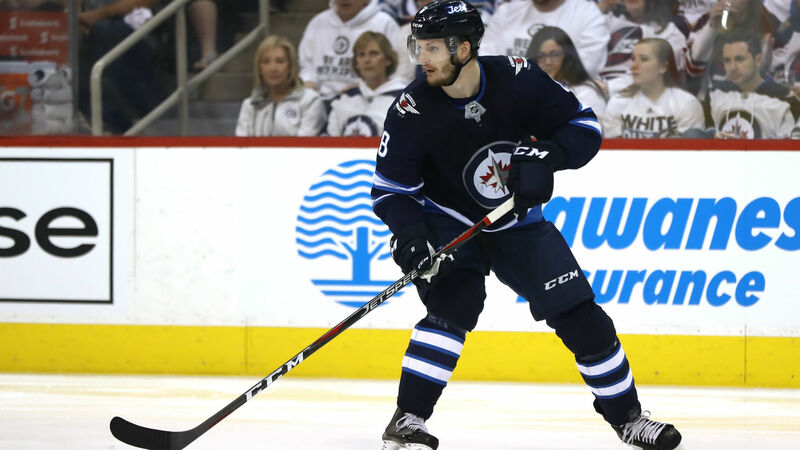 Trouba appeared in all 17 postseason games, scoring a pair of goals and adding an assist as the Jets were eventually knocked out in the Western Conference Final by the Vegas Golden Knights. If there is no agreement on a contract extension before Friday, the two sides will hash things out in front of an arbitrator with the Jets likely accepting a one-year deal, and not two, what with Trouba two years away from unrestricted free agency. The Jets have three other players who currently filed for arbitration, though each is likely easier to sign beforehand than Trouba. Forwards Adam Lowry, Brandon Tanev and Marko Dano are the lower-profile — yet still important — Jets who have arbitration cases scheduled.